Over the millenia people have built boats out of all kinds of stuff. Bamboo, leather, paper, concrete. You name it, someone somehwere has tried it. But by far the most popular contemporary boatbuilding material is a strange substance known as fiberglass. Once derided by traditionalists as being nothing more than “frozen snot,” it now absolutely dominates recreational boatbuilding. The term fiberglass is itself somewhat misleading, as it describes just one component of what is actually a composite material. The other component is a plastic resin, usually polyester, although vinylester and sometimes epoxy are increasingly used these days. Thus the more accurate term is fiberglass-reinforced plastic (FRP) or glass-reinforced plastic (GRP). The principle behind any composite building material is simple. A binding medium that is not structurally sound can be stiffened and made stronger by adding another more fibrous material. You cannot, for example, build a solid house of just mud or straw, but if you mix mud and straw together, you can build quite a strong house. It is the same with concrete and rebar, plaster and lath, or even papier-mâché. In all cases, the sum is much stronger than its parts. In this case, the medium is the resin, and the stiffening fibers are spun glass filaments ten times thinner than a single human hair. These fine glass fibers are in one sense quite fragile, but when held in column by plastic resin they are also stiff and strong. 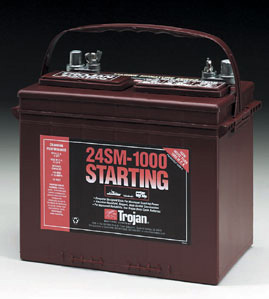 The resin begins as a liquid and becomes solid after a catalyst or hardener is added to it. This is a chemical reaction that cannot be undone. Unlike thermoforming plastics like polythene and PVC that can be melted after they set and recast like metal, thermosetting plastics like polyester, vinylester, and epoxy become permanently solid after setting. Applying heat softens them a bit and greatly weakens them (indeed, they have very low heat resistance compared to most metals), and they may be set on fire, but they cannot melt and become fluid again. The glass fibers come in rolls of fabric. The most common sort is electrical-grade glass, known as E-glass, which was originally developed for use in electrical circuit boards. The alternative is structural-grade glass, called S-glass, which was developed for use in airplane construction. S-glass (not surprisingly) is a much better structural material than E-glass. It is nearly half again as stiff and has much better impact resistance. Unfortunately, it also costs three times as much, which is why most boats are built of inferior E-glass. Quality builders often use limited amounts of S-glass to reinforce certain heavily loaded areas of a hull or deck, but only rarely do you see an entire boat built out of it. To make something as large as a boat out of liquid resin and floppy fabric, you need a mold to shape and support the materials until they solidify. 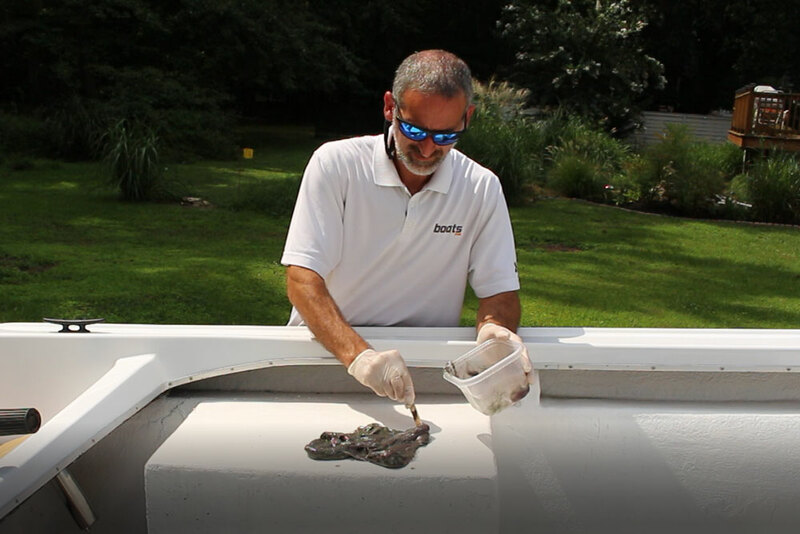 When building with a male mold, fiberglass fabric is laid over the mold’s exterior surface and is then saturated, or wet out, with liquid resin that has just been catalyzed. Working with a female mold, the fabric is laid out in the mold’s interior before being wet out. In both cases, multiple layers of fabric are built up into a laminate, and after the resin in all the layers has set up hard and cured, the now solid part can be separated from the mold. For this to be possible, the mold’s working surface must first be coated with a waxy separating agent before the laminating begins. When working with a male mold you are building up laminate from the inside out; the outermost layer goes on last, and if you want the outside of your boat to look nice and shiny you must fair and polish the exterior surface afterward. With a female mold, the outermost layer goes on first. If you take the trouble to carefully fair and polish the mold’s working surface, your boat emerges from the mold with a shiny exterior finish already in place. Either way you must take the trouble to fair and polish the entire surface at least once. But with a female mold you need do it only once (though some intermediate cleaning and polishing is required) and can then pop multiple fair-skinned boats from the mold thereafter. This is why production builders always use female molds. They also use gelcoat, a thin coat of resin thickened with colored pigment, as the very first layer in the laminate so boats emerge from their molds prepainted as well as prefaired. One advantage of fiberglass construction is that it facilitates the creation of complex hull shapes. But some shapes are still easier to form than others. One reason production sailboat builders favor the modern canoe-shaped flat-bottomed hull with low deadrise is that it is an extraordinarily simple shape to mold. You do have to bolt on a keel afterward, but that is a relatively simple matter of drilling holes and installing fasteners. A classic full-keel shape with lots of deadrise and deep bilges, by comparison, is more problematic since it is often impossible to extract a deep, narrow keel from a one-part mold, no matter how carefully the mold is waxed beforehand. To ensure success a two-piece mold is often used, so the molded part can be more easily released by separating the halves of the mold. It is also difficult to properly lay up and wet out fiberglass fabric in a deep mold with hard-to-access spaces. In other cases, with tumblehome hulls, for example (i.e., the beam on deck is less than the hull’s maximum beam), it may be necessary to use a four- or even five-part mold to release the molded part after it sets up solid. Molds themselves, of course, must also be created. To build one fiberglass boat, it is often said, you must in fact build two boats: the finished product and the mold from which it springs. With a female mold, you normally build three boats to get one--first a male plug on which the female mold is formed, then the mold, and finally the boat itself. Capital costs, therefore, are quite high, which is why truly custom one-off fiberglass boats are quite rare. It is possible to build fiberglass boats cost-effectively, but only if many boats are born of the same mold. This is what is unique about fiberglass construction. As late as the middle of the 20th century, boats were always built one at a time. 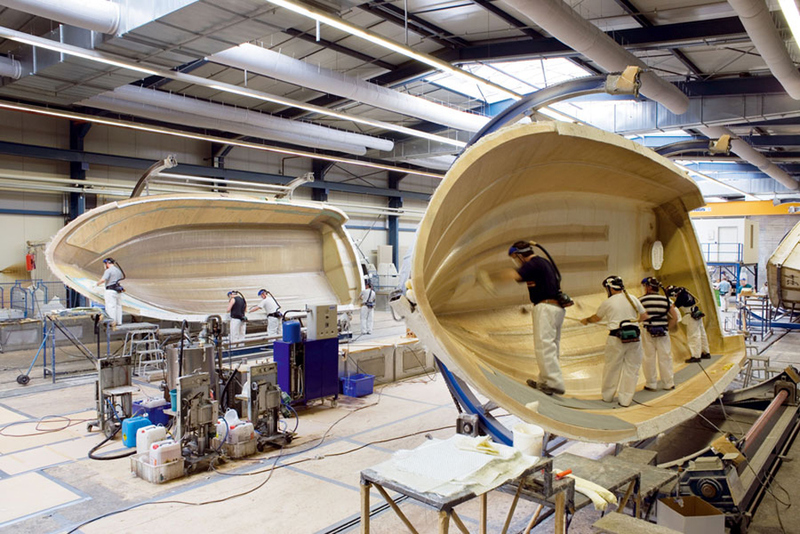 Since the advent of fiberglass, however, boatbuilding has increasingly become an industrial process as opposed to a craft. The biggest builders these days can churn out hundreds--or even thousands--of boats a year on massive assembly lines studded with computer-controlled robots that do everything from spraying gelcoat into molds, to cutting hatches and drilling holes for fasteners in decks, to cutting, trimming, and even varnishing interior woodwork. But even on the most automated production line, a lot of manual labor is still needed for a boat to be built properly. Given the relatively small market for new sailboats, there is also a surprisingly large number of small builders who still build only limited numbers of boats using little automated machinery. For many in the industry boatbuilding is primarily a labor of love; to them boatbuilding will always be an avocation and never just a business. Generally, however, the companies with the best long-term chances of survival are those that focus on economic reality and production efficiency. 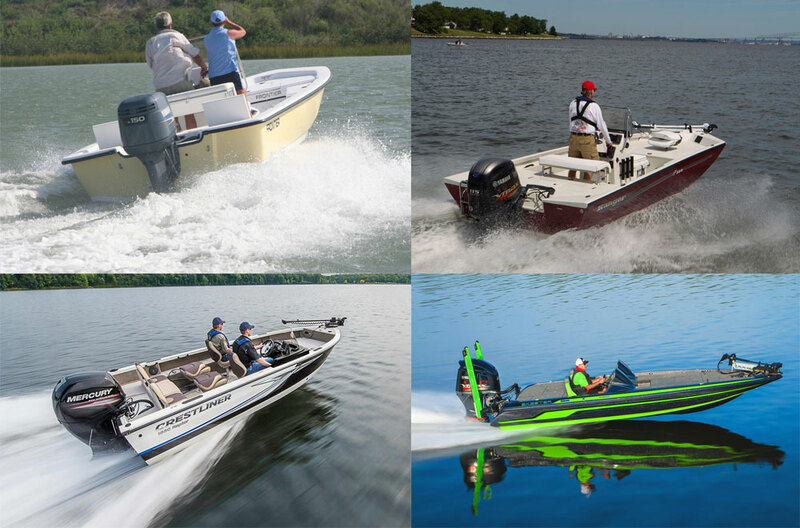 One thing many mass-production builders have come to realize is that their biggest competition is not other builders of new boats, but the ever-growing number of older glass boats that are still on the water. It is now 60 years or so since the first glass boats appeared on the market, and there is still no evidence of any inherent limit to their useful life spans. As far as we know, a well-built, carefully maintained glass boat can last virtually indefinitely. This, unfortunately, only encourages builders to produce boats that are less than durable. Buyers who expect to trade in or sell a new boat within a few years need not worry about this, as serious maintenance issues are unlikely to arise in the first few years of ownership. But for those buying used glass boats, particularly those built in the last 10 or 15 years, the guiding principle should be “buyer beware.” Many corners can be cut when building a boat, particularly a fiberglass one, and the consequences may not manifest themselves for several years. To help those who find their cruising sailboats on the brokerage market (i.e., most of us), I’ll be exploring fiberglass boat construction in much more detail in future WaveTrain posts. Having a good basic knowledge of construction techniques can save you from making some big blunders when you buy a boat, so I encourage you to stay tuned. 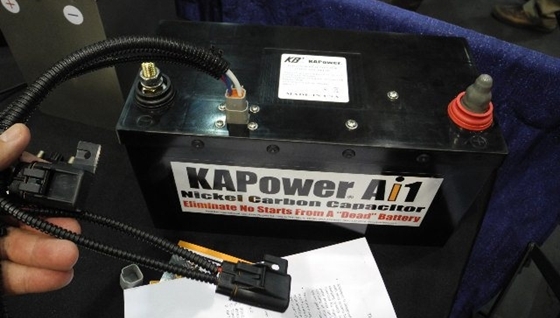 Super Capacitor for Emergency Start?